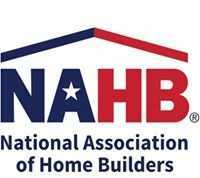 Washington, D.C. – February 4, 2016 – (RealEstateRama) — Each year, the National Institute of Building Sciences hosts an Awards Reception and Dinner to recognize individuals and organizations that have provided outstanding service to the Institute, the building community and the nation. On Thursday, January 14, Institute board, staff and members honored the 2015 award winners during an annual awards ceremony atBuilding Innovation 2016: The Institute’s Fourth Annual Conference and Expo, held at the Renaissance Arlington Capital View in Arlington, Virginia. The Institute Member Award goes to a member of the Institute who has made a substantial contribution in support of the mission, goals and objectives of the Institute. Institute Chairman James “Tim” Ryan, CBO presented the 2015 Member Award to the International Code Council (ICC) in recognition of ICC’s collaborative work to promote code administration and application for a safe built environment; the development of informative information on the workforce; promoting activities and programs to assist in the development of the next generation of future code administrators; and supporting the activities of the Institute through the promotion, participation and engagement in Institute Councils, programs and activities. Since its creation, Institute Sustaining Organization member ICC has been engaged in the activities of the Institute. Over the past few years, ICC has increased its efforts and participation within the Institute. The Institute Honor Award goes to someone who has made an exceptional contribution to the nation and the building community. Institute Chairman Ryan presented the 2015 Honor Award to the Institute’s Low Vision Design Committee (LVDC) in recognition of the Committee’s generous willingness to contribute its specialized expertise and an abiding desire to improve wayfinding in the built environment for individuals experiencing low vision. The LVDC was founded in late 2011 by a small group of architects, medical professionals, engineers, interior designers, lighting designers, federal agency representatives and community activists. Committee members, several of whom have low vision themselves, dedicated their time to amalgamating the knowledge of their separate vocations into tools that can be used cross-profession to create supportive environments for an ever-growing population with low vision. The Committee developed the Design Guidelines for the Visual Environment and is now working toward a national standard. This extraordinary group effort has been supported by the Jim H. McClung Lighting Research Foundation and the Hulda B. and Maurice L. Rothschild Foundation. The Institute President’s Award is given to an individual or organization in recognition of extraordinary efforts to assist in advancing the mission of the Institute. President Green presented the 2015 President’s Award to David S. Collins, FAIA, NCARB, in recognition of his collegial assistance, continued encouragement and advice, and his professional commitment to improving codes and standards and forging a better understanding of the influence codes have in design and construction of our nation’s built environment. Over the years, Green and Collins have shared a number of adventures in the development of codes and standards that have improved the built environment. For more than three decades, they have worked together on codes; ways to improve outreach to architects, code officials and the building community to provide a better understanding of the influence codes have in design and construction; and, most recently at the Institute, building enclosures. The Mortimer M. Marshall Lifetime Achievement Award, the Institute’s highest honor, goes to someone who has demonstrated a lifetime of dedication to the mission and goals of the Institute. Established in 2011 and named after the organization’s first member, this award is bestowed upon those who exhibit the passion upon which the Institute is founded. Chairman Ryan presented the 2015 Mortimer M. Marshall Lifetime Achievement Award to Emory Rodgers in recognition of his distinct service as a member of the National Institute of Building Sciences Board of Directors, the Building Officials and Code Administrators (BOCA) International Board of Directors, the Council of American Building Officials (CABO) Board of Directors and the U.S. Architectural and Transportation Barriers Compliance Board (ATBCB) Advisory Commission; Senior Vice President of CABO; and President of BOCA International. Prior to his retirement, Rodgers held positions as the Chief Building Official of Arlington, Virginia, and as Deputy Director, Building and Fire Regulation Division at the Virginia Department of Housing and Community Development. He served as a mentor to numerous building officials throughout the country. In his service to the Institute Board of Directors, he brought the voice of code administration to the forefront of the discussions, providing valued insight to the many issues before the Board as it relates to the application of construction requirements and community planning. Additionally, his work has informed and guided the Institute on how to achieve greater impact on improving the built environment through a collaborative approach to the application of codes and standards. Earlier in 2015, the Institute issued a call to industry for nominations to identify potential award recipients. An Awards Committee reviewed the submissions and selected winners from the nominees, based on how their work meets the mission, objectives and goals of the Institute. The Awards Committee will solicit nominations for 2016 awards in late spring of 2016, with nominations due in July.